A gold loan comes with many benefits, and Muthoot Finance gold loan is the best in deal for residents of India. Why is a loan against gold scheme popular? It is because; you can get the funds in a matter of few hours once the loan is approved. The approval process happens the same day of the loan application. From Muthoot you can borrow anywhere between Rs. 1,500 and Rs. 1 crore. There is no restriction on the end-purpose of the funds. A loan against gold can be taken for business and personal expenses, such as education, travel, wedding, home repair, medical treatment, debt consolidation, purchasing gadgets, etc. However, the loan amount is usually restricted from being used for illegal acts and speculative purposes. For a middle-class person, having a freedom of using the funds as needed, is one of the best advantages bestowed by Muthoot Finance Limited. Below given are the reasons as to why a gold loan Muthoot is beneficial for common man in India. Usually banks and NBFCs charge high interest rate for loans with short tenure and vice-versa. But Muthoot gold loan tenure starts at 7 days and goes up to 36 months. The rate of interest is nominal and the short tenure makes it possible for you to pay the loan faster. With reduced interest payout, a gold loan becomes one of the most inexpensive financing tools for common man. You can repay the loan sooner than the maturity date, and save more. A middle-class man is usually salaried or self-employed. In his busy schedule, there is hardly any time to understand the complexities of a loan and its process. But, a gold loan does not require any paperwork as such, and it is simple to understand. You only have to provide proof of residence and identity, just like you would to get a mobile phone connection. You can provide your PAN card and Aadhar card with recent passport-sized photographs, and submit the duly signed and filled loan application form to the Muthoot, and the loan will be processed quickly. Anyone who is over 18 years of age can apply for Muthoot Finance gold loan. Your employment status and credit score, does not matter. If you are self-employed, pensioner, salaried, housewife, businessperson etc, you can apply for the jewel loan. As long as you can provide the documents needed, have appropriate type of gold asset, and meet the age criteria, you can get the funds. Farmers and women can apply for the loan at a discounted interest rate. Agriculturists have to provide proof of farming activity for the loan. 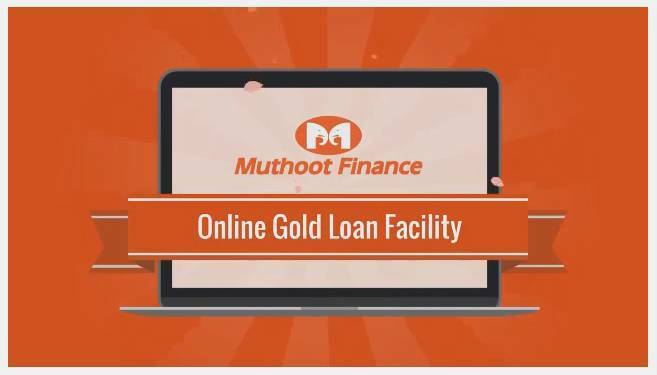 Unlike other loans, Muthoot gold loan has low fee and charges. While other secured and unsecured loans can ask for processing fee of up to 2 to 2.5 percent, gold loan requires a processing fee of only 0.25 to 1 percent of the loan amount. For a common man, such a low processing fee will not burn a hole in the pocket. There are no prepayment charges as well. You can close the loan anytime. But there could be penalty on a delayed payment. Thus, make the loan repayment in time to avoid such consequences. Delay payments will also affect your credit score. In many cases, Muthoot may offer doorstep loan service. It can provide gold valuation service at your home itself, especially if you want to take a huge amount of loan. A team member can visit the house for verification, valuation process, and you can apply for the loan from the comfort of your home. You can even apply for jewel loan online on the official website of the company. The application process is the quickest and you can submit all the required documents online itself. As per the norms of RBI, registered banks and NBFCs can offer loan on gold up to 75 percent of the gold’s value. Thus, the loan to gold value ratio is affixed at 75 percent and cannot exceed this limit, though the same can be lower depending on the gold weight, purity, and other terms and conditions. Muthoot Finance offers maximum finance on the gold asset. The jewellery and coin will be secured and stored in safe vault that receives surveillance 24×7. Once the loan is repaid, the gold will be returned to you. When checking your personal profile, the financial institution does not undertake credit check or employment verification. Your credit score is not of any concern. You do not have to submit salary slip, bank statement, income tax proof and likes. Until and unless the loan you wish to take is big, there are no hassles of providing credit report or proof of employment. Thus, for a middle-class person, a loan against gold is simply the most convenient financing option. I read your article and got it fine and informative. Please share more like that stuff. Investing In P2P Loans and get the loans at the low interest rate.